With ethical questions swirling, Illinois Congressman Aaron Schock has told the website Politico that he “hopes” he hasn’t broken the law. The political news website says it conducted what was described as a “testy” six minute interview with Schock on Tuesday. And that he seemed to equivocate when asked whether he thought he had broken any rules or federal laws. More than a year ago, NBC 5 Investigates first raised questions about Schock’s extensive use of Leadership PAC funds for luxury jet travel and stays at posh resorts. But the Peoria Republican has been the target of increasing questions about his far flung trips, often chronicled on Instagram, paid for from campaign and office funds. During a brief session sparring with reporters here in Chicago on Monday, Schock insisted he takes his compliance obligations very seriously, and that his extensive use of private aircraft was due to the size of his district. The congressman insisted he curbed other spending in his office, to make up for funds spent on travel. But in the Politico interview a day later, Schock suggested he was rethinking that policy. “Well, I think what’s clear is that it’s better for me to do fewer events in my district, and drive to them than it is to rent a plane and try to get to more events in my district,” he said. But a review of the congressman’s expenses suggests he already has done plenty of driving. NBC 5 Investigates found that Schock wrote checks to himself for more than $16,000—just for mileage in 2014. The $16,329 in payments included over $7,000 paid out of Schock’s congressional accounts, which are funded by taxpayers. And another $8921 paid from his leadership PAC, described only as “PAC mileage”. With the IRS gauge of 56 cents a mile, that comes out to 29,160 miles which Schock claimed to have driven in 2014, or 80 miles every day of last year. 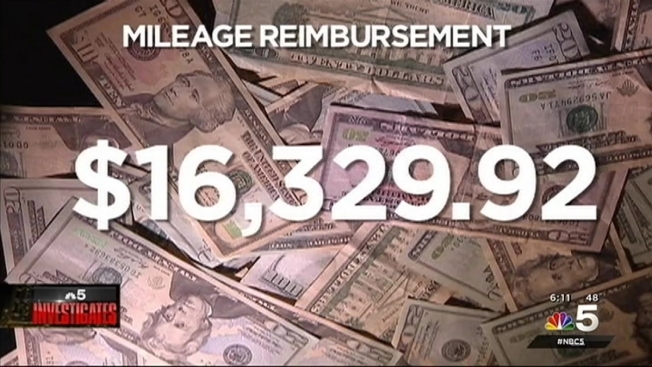 Schock wrote checks to various congressional staff members for even more mileage, a total of $8,040. All in taxpayer money. “What CREW has been calling for, for weeks, is a thorough investigation,” says Weismann, noting her organization has filed three complaints against Schock with the House Ethics Committee, and another with the Federal Election Commission. And she chafed at the congressman’s insistence that he is conducting an internal review in his office. Is Aaron Schock Toast in 2016?